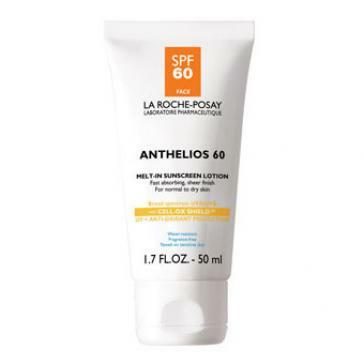 Anthelios 60 1.7 oz Face | YourHealthySkin.com - Carolyn J. Pass M.D., P.A. YourHealthySkin.com - Carolyn J. Pass M.D., P.A. Fast absorbing, matte finish SPF 60 sunscreen recommended for the face. Velvety texture. Website by Foxtrot Media, Inc.